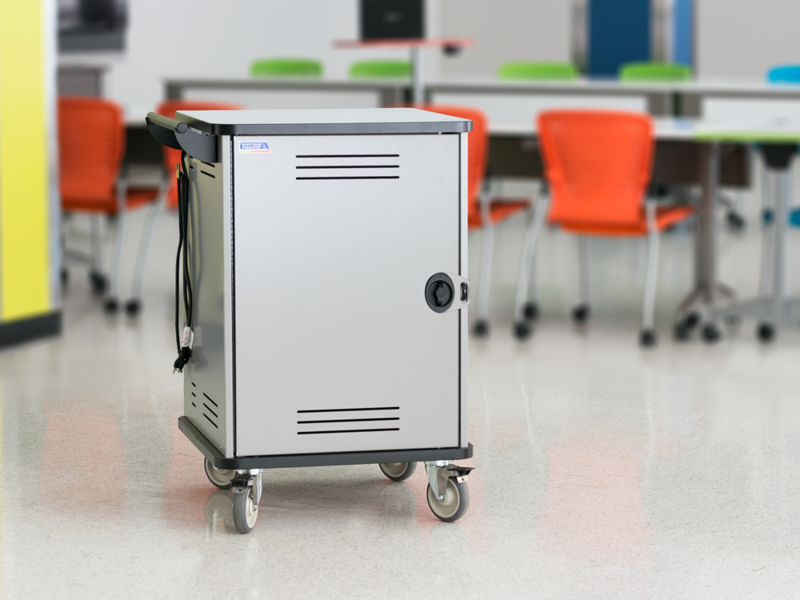 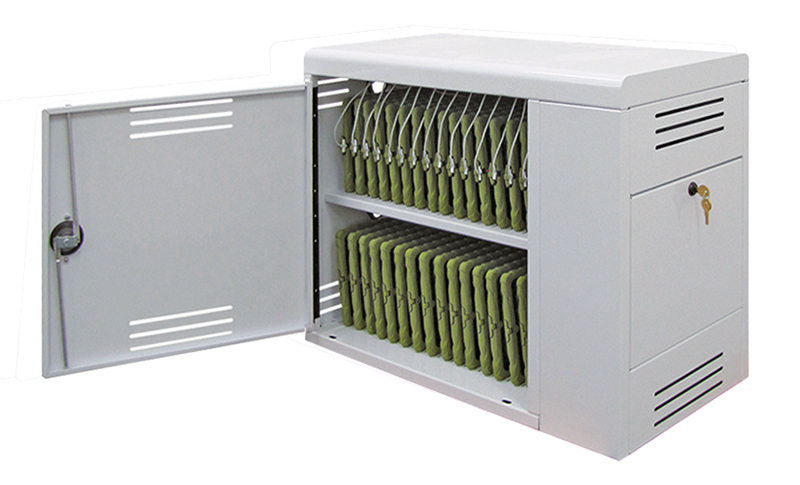 The InTouch32 Secure Tablet Locker manages 1:1 tablet programs and keeps devices safe and secure within a classroom. 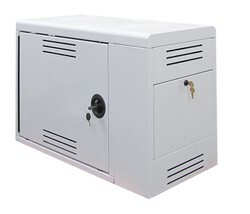 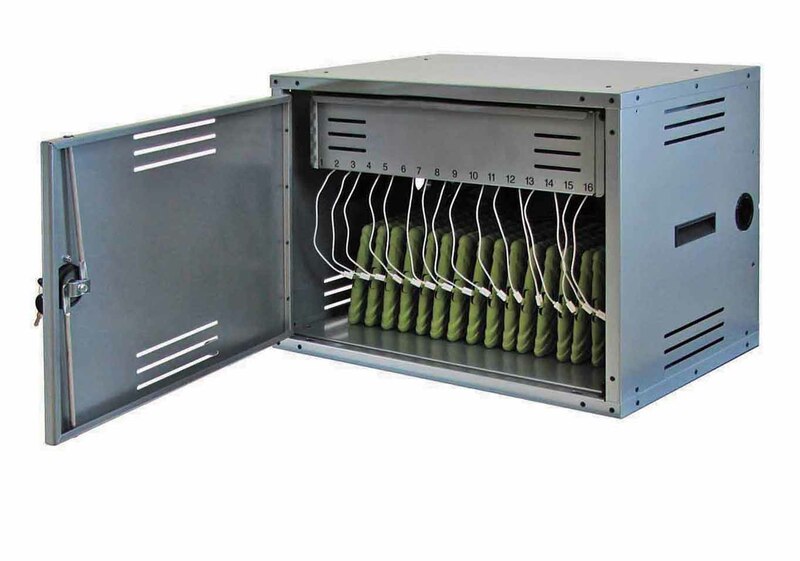 This cabinet has wide slots so that you don’t have to remove thick protective covers before storing. 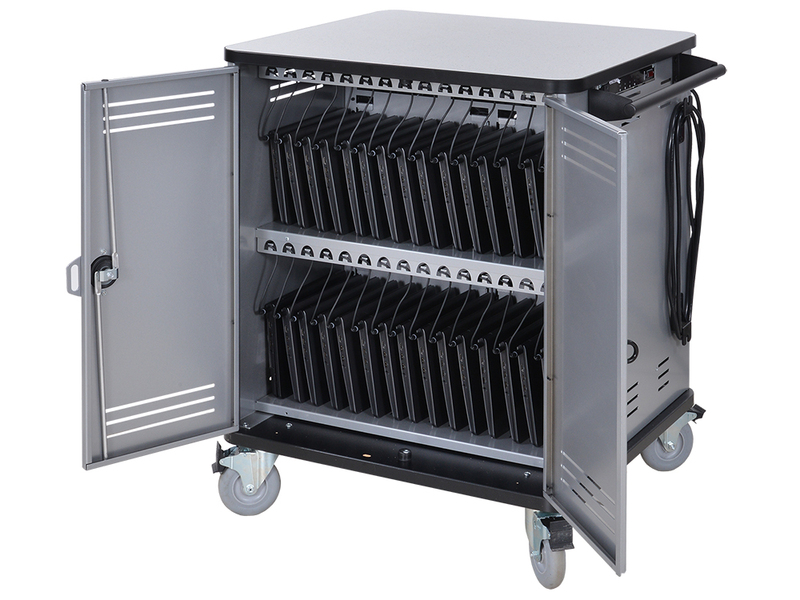 Careful consideration is given to cord management by having a charging plug in front of every bay for easy tablet organization. 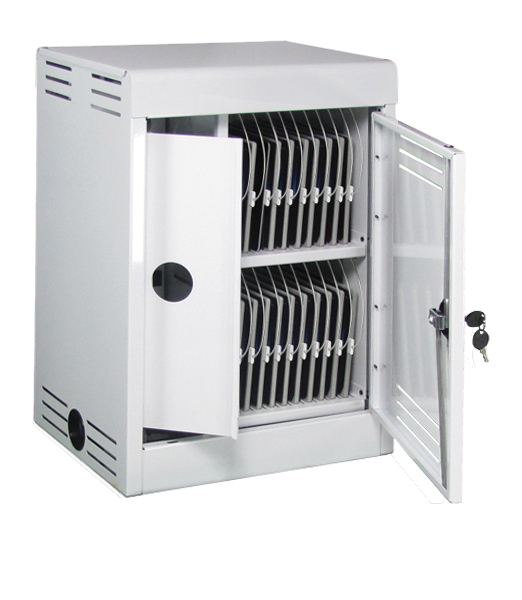 Warranted to be free of all defects in materials and workmanship with a 10-year warranty. 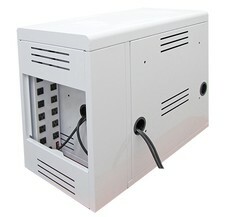 Electrical system warranty is 2 years.